1979-80 Topps / O-Pee-Chee Dale McCourt – Card #63 One day while thumbing through my extra hockey cards, I came across this odd card – 1979-1980 Topps #63, Dale McCourt. 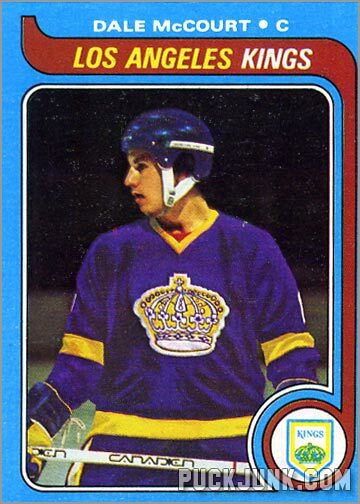 This card featured McCourt in his L.A. Kings Jersey. However, Dale McCourt was never a member of the L.A. Kings. And yet, this card clearly … Continue reading "Card of the Week: King for a Day"